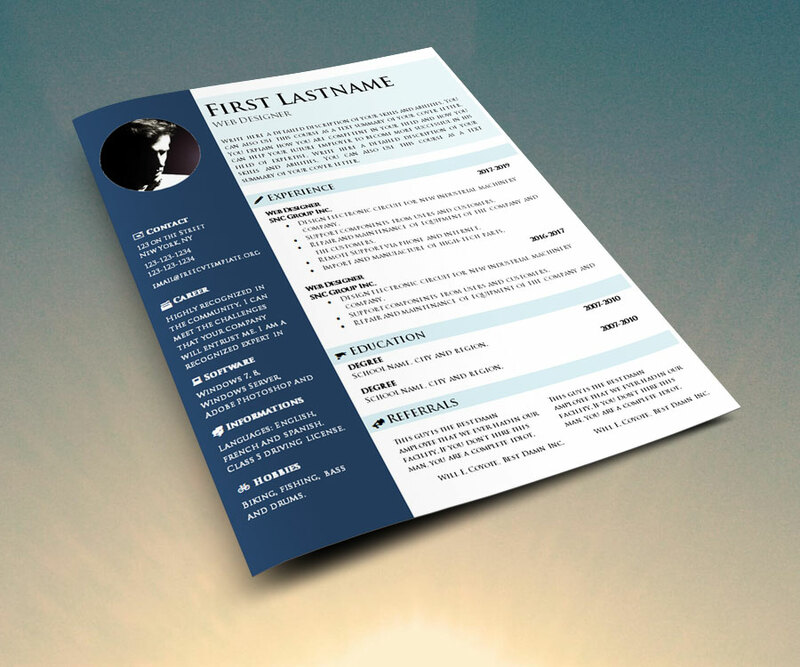 Downloading this CV template is completely free of charge. This file is ready to use: you only have to adapt it to your own profile. Make sure it matches your career profile and the job you are hunting. Then personnalise it integrating your education, employment experiences, skills, etc… You can then print your resume with your printer. Either you are a student, fresh, engineer or any other profile… on this website you can find the right CV for you. 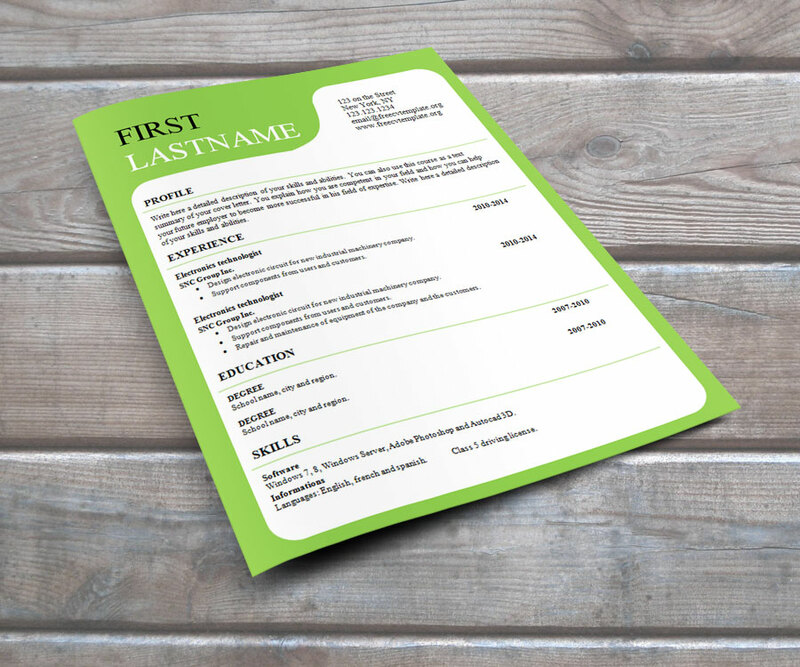 Find out how to create a good CV using one of our templates: there are thousands to choose from… all originals that we created for you. Our writing tips will help you create your very own piece of awesome document. Download the .DOC file at the end of this page. 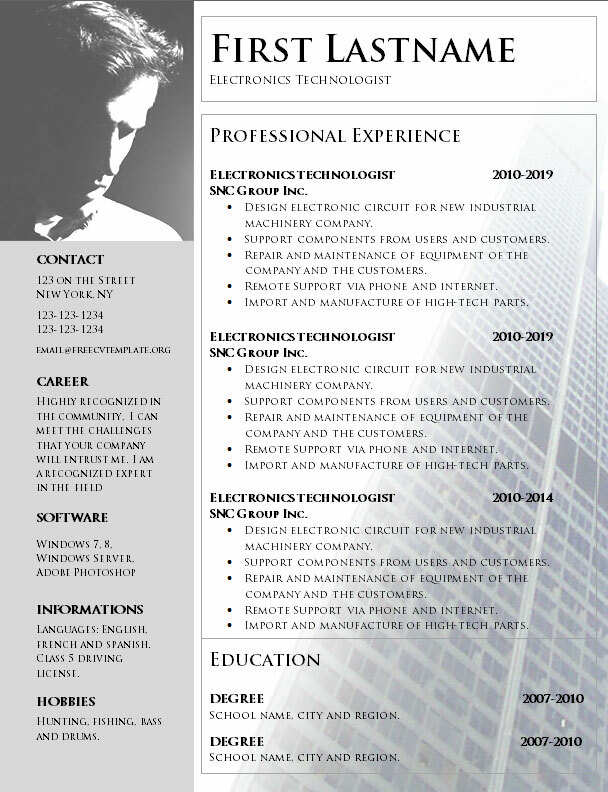 The Curriculum Vitae is the reference document you must have before starting your job hunt. In all cases, the CV will be the only way for you to get out of the pile and get an interview with the boss. In other words, the Curriculum Vitae is the piece of paper that’s “selling you”. A high quality document will get you to the next step you want to access: the interview. 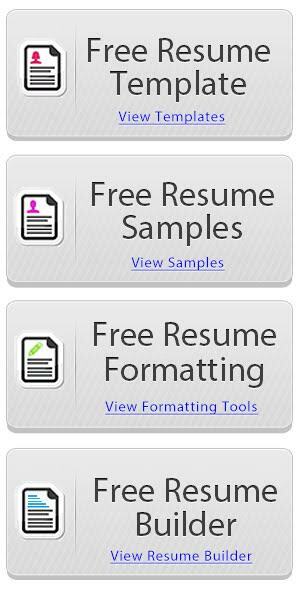 On this website, you have access to all templates and tips you need to download, customize, complete and print your resume all by yourself: saving money and time. 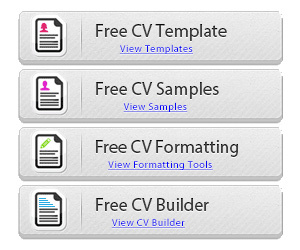 How to download our CV templates and examples? 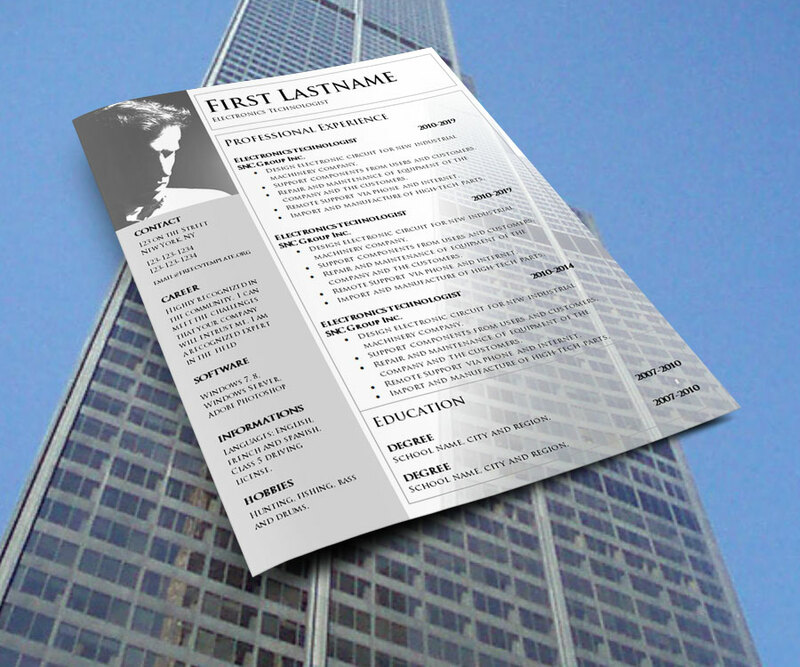 We provide you with a huge number of free Word CV templates. 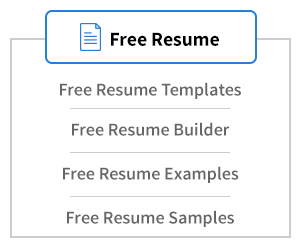 To download is very easy: choose the resume design you like and click on the download links at the end of each pages. The links always include the file name and it’s in text format. You will then be asked where you want to store the file on your computer, choose the folder you want to keep it and click save. All our files are in Word 97-2002 .DOC format, so it’s easy to open with all major text formatting software. Access to our downloads is completely free of charge. Don’t get fooled, the word “free” in our website name really means FREE and always will.